Saifullah Khalid, closely linked to Saeed, announced the formation of 'Milli Muslim League' in Islamabad following weeks of campaign in Punjab's provincial capital Lahore. 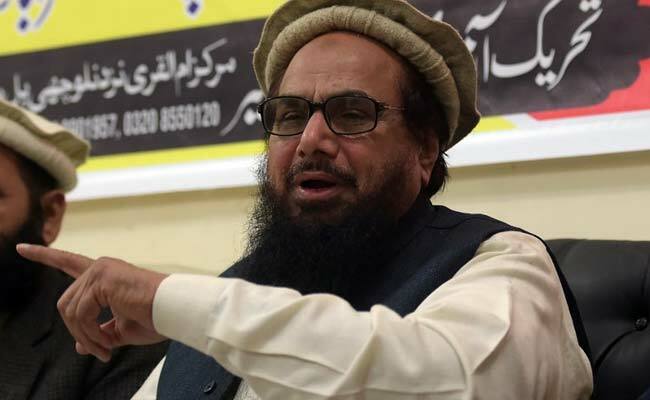 Pakistan's banned terrorist outfit Jamaat-ud-Dawa launched a political party on Monday, days after authorities extended its chief and Mumbai attacks mastermind Hafiz Saeed's "house arrest" for two months fearing threat to public order. "We would soon file application with Election Commission of Pakistan for its registration," Khalid, who claimed to be the president of the new party, said. Khalid said the new party will strive to make Pakistan a "real Islamic state" and demanded the immediate release of Saeed, who is under "house arrest" since January. The party, political observers said, seems as an effort to set up a front which is acceptable to moderate Pakistanis. However, there appears to be little chance of electoral success for religious parties in Pakistan as the share of such political outfits have gradually shrunk in parliament. Currently, Jamiat Ulema-e-Islam-Fazal of Maulan Fazlur Rehman is one of the largest such party with about a dozen elected members in the National Assembly, whereas the Jamaat-e-Islami has about half a dozen in the 342-member house. In a notification issued on July 28, the Punjab government's Home Department said that on the recommendation of the federal interior ministry, the detention of Saeed has been extended for another 60 days. It said Saaed and others' detention expired on July 27 after his house arrest was extented for another 90 days. He was initially put under house arrest on January 31. The JuD is believed to be a front for Lashkar-e-Taiba, the group behind the 2008 deadly attacks in Mumbai in which 166 people were killed by 10 terrorists who came from Pakistan.